The capital of the state of Hesse, Wiesbaden is a spa town on mineral springs that have been harnessed since the Romans. The city has all the regal architecture and rarefied air of a 19th-century resort. 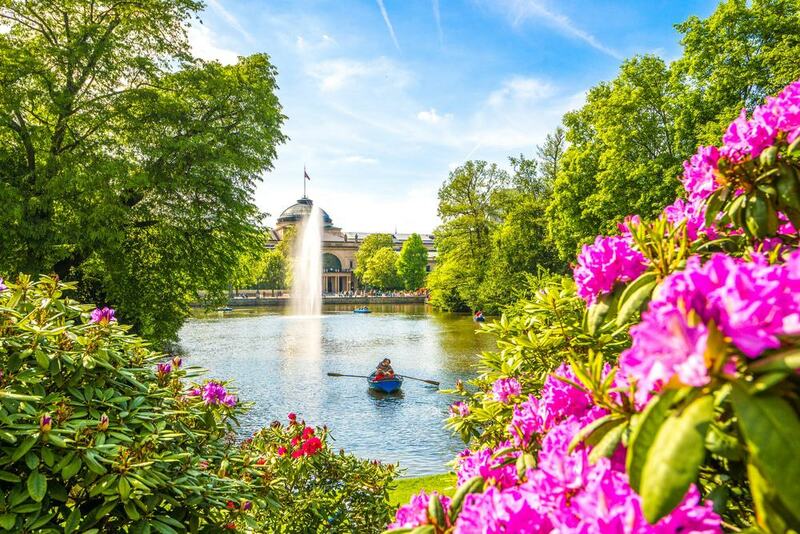 There are stately monuments like the glass-domed Kurhaus (Spa House), dainty gardens and old-world infrastructure like a funicular train from 1888 that still uses water ballast to travel up and down the Neroberg hill. Under the control of the House of Nassau for hundreds of years, Wiesbaden was also the home of dukes, whose properties still enrich the cityscape. And it isn’t just the water that gives Wiesbaden its health-giving reputation: The climate in this south-facing city is a little warmer than the rest of the Rhine Valley, and optimal for making Riesling wine. 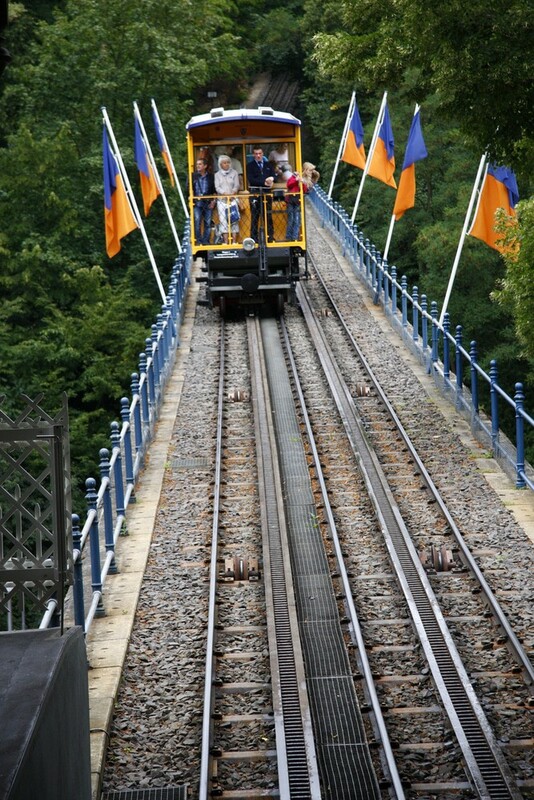 The train shuttling to the top of the Neroberg to the north of Wiesbaden is one of the only funicular railways in the world still using water ballast as a propulsion system. Water is pumped into the train at the top of the hill to make it heavier than the one at the bottom, and as this train descends the slope, a steel cable pulls the up-bound car to the top. No other railways in Germany still use this propulsion method, which has functioned since the 440-metre line opened in 1888. In three and a half minutes you’ll ascend more than 80 metres on a gradient as steep as 19.5%. You’ll know why you made the trip to the top of this 245-metre hill as soon as you arrive as there’s a superb view of the Rhine Valley as far as the city of Mainz to the south. In 1851 the architect Philipp Hoffmann built a small mountain park on the peak, dotted with monuments and amenities. The centrepiece is a Classical Monopteros temple, where the best view of Wiesbaden can be had. A hotel built on the crest of the hill burnt down in 1989, leaving a solitary tower, now occupied by a restaurant. There’s also a sleek, Art Deco-style open air pool, the Opelbad, a rope course with 80 obstacles in the forest and an amphitheatre for summer events. And finally, under a terrace created as a memorial to the First World War, there’s a 4.1-hectare vineyard growing Riesling grapes. Wiesbaden’s main spa building is glorious Neoclassical building with Art Nouveau flourishes, most memorably in the metal and glass dome. 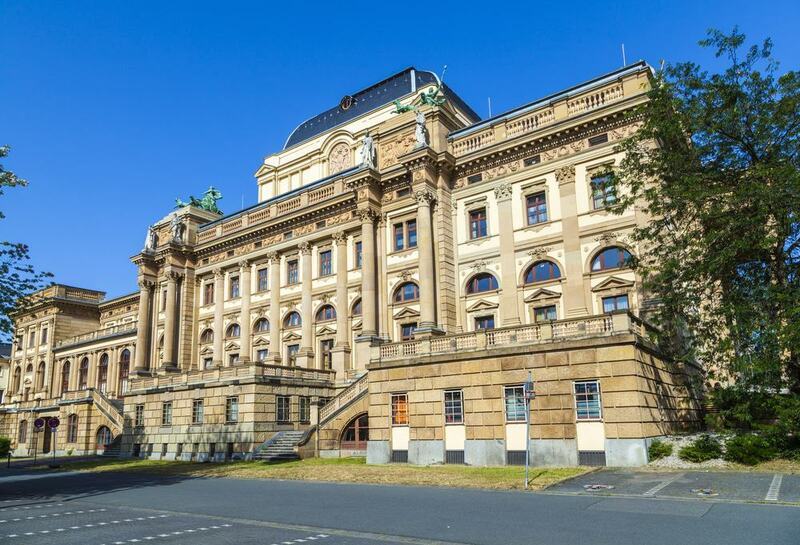 The building and its opulent ballrooms are put to a few purposes, as the venue for high-profile events, as well as Wiesbaden’s high-stakes casino and a posh restaurant. Most of the time you’ll be able to get inside the foyer for photos of that dome, the stained glass at the entrance and the statues and frescoes of Greek gods. Also take a turn around the grounds, made up of the Bowling Green and its fountains on the west side. On the east side of the Kurhaus is the English-style Kurpark, which was landscaped in 1852. Right in front of the Kurhaus is the Kurpark Weiher, an ornamental lake with a fountain that shoots a water jet six metres in the air. You can hire boat for the lake and by the water on the west shore are benches, cafe terraces and an outdoor stage. When Germany competes at a major football tournament a big screen is set up in the Kurpark, and other big events like a concert by Sting and an address by the Dalai Lama have been attended by thousands. On Nizzaplätzchen you can also view what’s left of the portico from the old Kurhaus, which was pulled down over 100 years ago to make way for the new one. Also on Neroberg is a Russian Orthodox church completed in 1855. This was built by Duke Adolf of Nassau as a memorial to his Russian wife, Grand Duchess Elizabeth Mikhailovna who died in childbirth. Adolf built the church around her tomb and entrusted the designs to Philipp Hoffmann who studied Orthodox architecture especially for the project. The church is dedicated to Elizabeth, his wife’s patron saint. 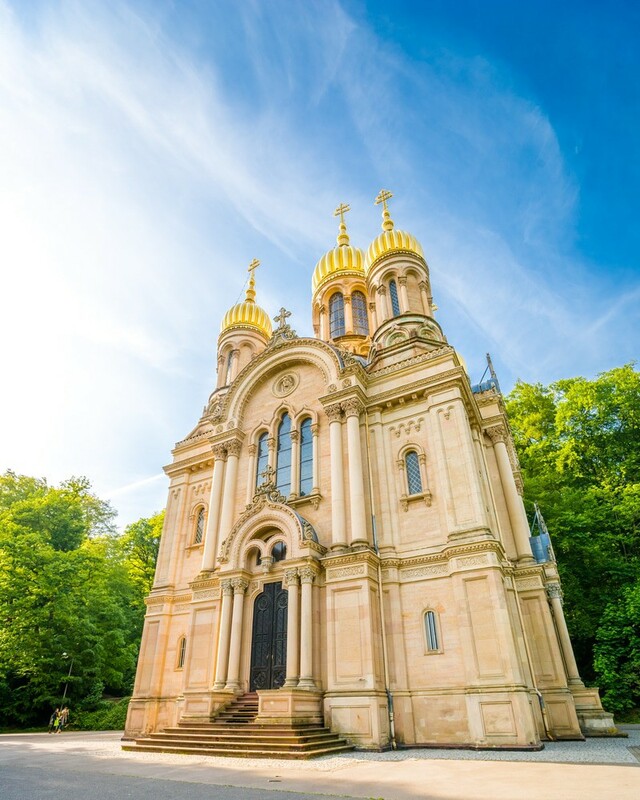 Outside see the gilded onion domes and head around to the cemetery, one of Western Europe’s oldest Russian Orthodox burial places. And inside you can view the iconostasis, by the Estonian-German painter Carl Timoleon von Neff and Elizabeth’s tomb. 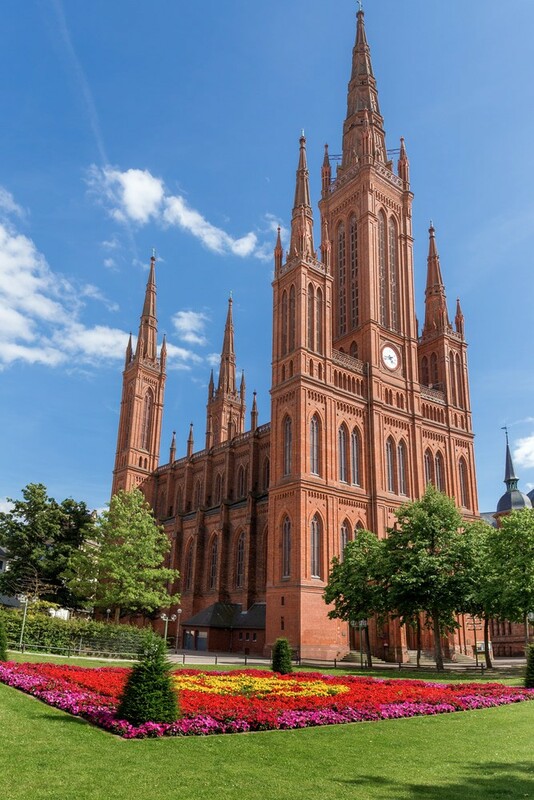 The central tower of this captivating Neo-Gothic church climbs almost 100 metres above Wiesbaden’s central Schlossplatz. When construction was finished in 1862 this was the largest- brick-built construction in the Duchy of Nassau. It had to be capacious to meet the needs of a population that had doubled in the previous 20 years. In the chancel you won’t be able to miss the five life-sized statues. These were donated by Duke Adolf and represent Christ in the centre and the evangelists Mark, John, Matthew and Luke, from left to right. The polygonal bronze and iron pulpit has an interesting past as it was only supposed to be placeholder for a future marble design, but after being installed on the right side of the chancel in 1862 it has remained ever since. The best-known and hottest spring in Wiesbaden is Kochbrunnen (Cooking Fountain), which emerges on its namesake square at 66°C. There’s also a drinking water fountain on the square under a Neo-Baroque pavilion. The spring was first recorded in the 14th century, and that water is forced up from a depth of 2,000 metres, filtered through a processing plant and then channelled here. Kochbrunnen bursts from its fountain at 370 litres per minute and has a slight sulphuric smell. Inspecting the fountain you’ll see that the water comes out clear, but after sitting in the basin for an hour takes on a yellowish tone. The three-winged building for the Museum Wiesbaden took shape in the early 1910s, but its collection goes back at least a century before to the collections of writer and diplomat Johann Isaak von Gerning, a contemporary of Goethe. The three sections are an art museum shining for its 19th and 20th-century painting, a collection of antiquities put together by the House of Nassau and a natural history wing abounding with zoological specimens and fossils. Art aficionados will appreciate the works by Adolph Menzel, Franz von Lenbach, Max Beckmann, and Bauhaus artists like Walter Dexel and László Moholy-Nagy. The fossil collection, running to thousands of specimens will thrill natural scientists, while there are Roman monuments, tombs and the mysterious “Mithras Stone” altar among the antiquities. In order to show his affinity for Wiesenbad’s citizens and forge a link with his ancestors, William, Duke of Nassau moved his residence to Marktplatz in the centre of the city. Work Started on the city palace in 1835, but William died before it was completed in 1841. 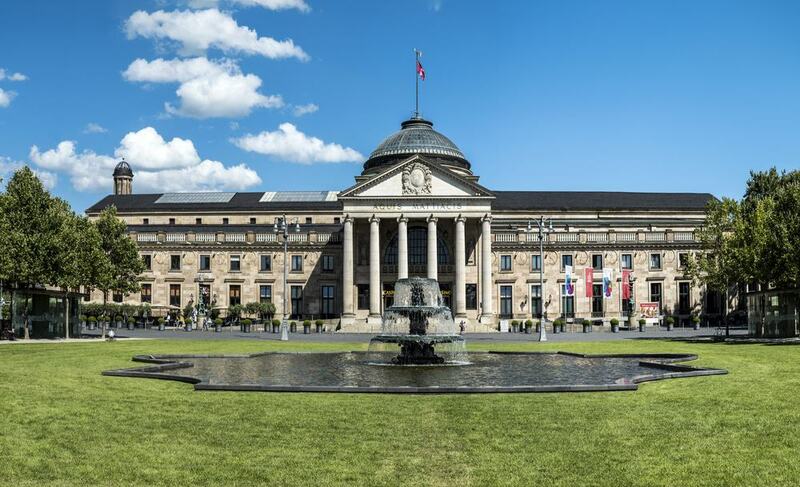 And from then on the Neoclassical building had an eventful century, almost being stormed in the revolutions of 1848 and becoming a second home for the Prussian Kaisers after the Duchy of Nassau was annexed by Prussia in 1866. 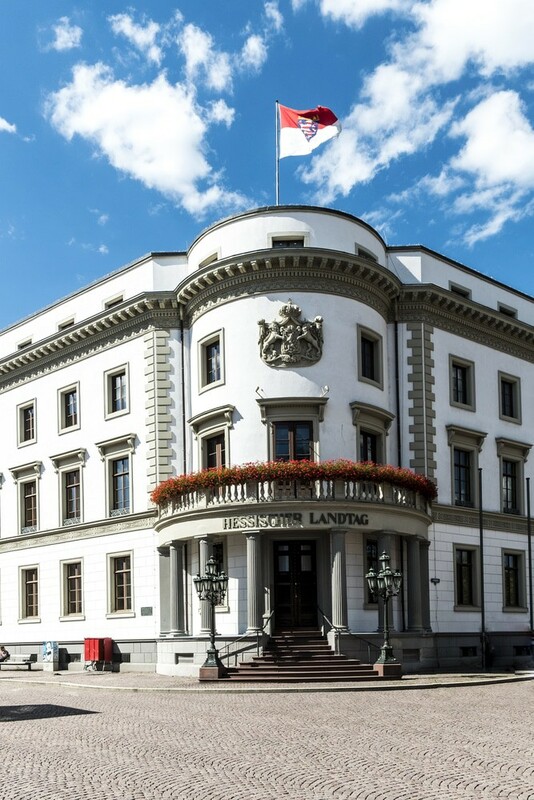 As the home of the Hessian State Parliament, the landmark is a sight to enjoy from the outside, and makes up that cultivated ensemble on Marktplatz. One of the most beautiful properties on the banks of the Rhine, Biebrich Palace is a Baroque residence begun at the start of the 18th century. The palace was commissioned by George August, Count of Nassau-Idstein, and after he died it became property of another branch of the family, the Nassau-Ussingen dynasty. Today the building is used for conferences and ceremonies by the Hessian state government. 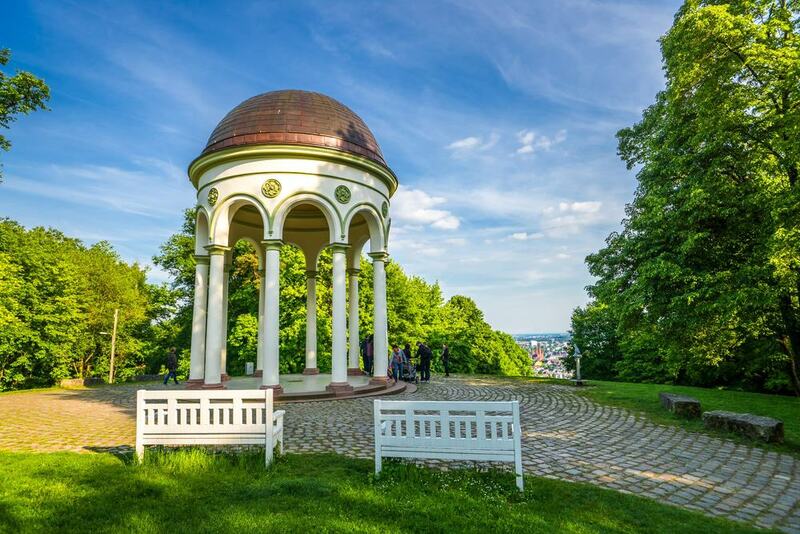 From the peaceful Schlosspark, which sweeps out behind you can take in the palace’s rotunda. This is topped with 16 statues of ancient gods arranged in pairs in two sets of eight, depicting Minerva and Mars, Venus and Mercury, Jupiter and Juno and Apollo and Diana. Every May Wiesbaden’s International Horse Show is held in the park and is now in its 82nd year. Whether you’re in the mood for opera, ballet, musical theatre or a classical concert, the Hessian State Theatre is a venue with prestige, sumptuous architecture and a lot of history. Giants like Johannes Brahms and Clara Schumann made appearances at the theatre, and Richard Strauss was a guest conductor. The prolific Viennese duo Fellner & Helmer won the contract to design the theatre in the 1890s, and used their Neo-Baroque template for a building that is sumptuous inside and out. 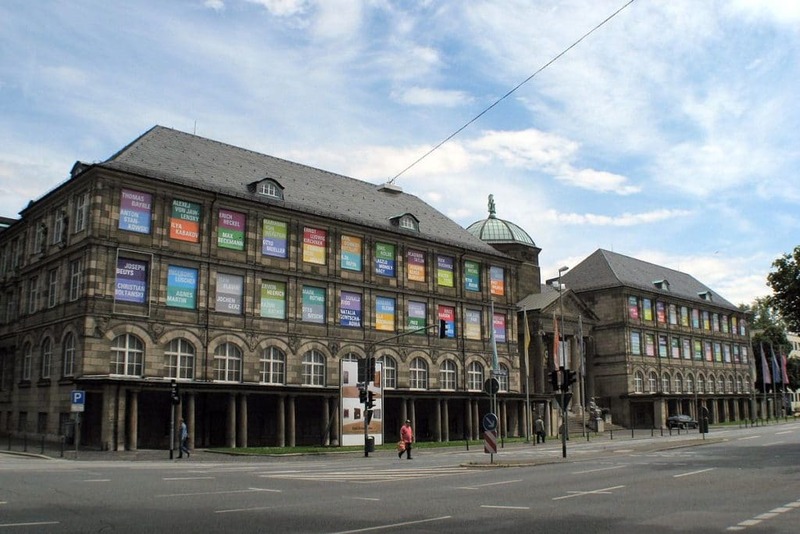 In may the Staatstheater is at the centre of the Internationale Maifestspiele Wiesbaden. This event was inaugurated in 1896 and is one of the most prestigious opera and theatre festivals in the world, welcoming visiting companies from around Europe and putting on smaller recitals, seminars, poetry readings and art exhibitions. Beyond Wiesbaden’s northwest boundary is the forest where Charles, Prince of Nassau-Usingen created a pheasant breeding ground for hunts in the 18th century. The hunting lodge that was built in 1740s is still standing and now houses a restaurant. And after the Second World War, the park reopened as an animal attraction for regional species. Of course there are pheasants, but also fallow deer, otters, wild boar, barn owls, peacocks and lynxes. One look at the size of the trees and you’ll know that the forest is historic. There are also exotic specimens to look out for, like the thickest sequoia in Germany, a ginkgo, Spanish fir, red oaks as well as mature beech, oak and horse chestnuts. At a diagonal angle and ending just after Kochbrunnenplatz, Taunusstraße is a princely street of 19th-century villas in the Historicist style. And instead of the typical retail chains, the street has shops befitting its upscale character, like design emporia, boutiques, galleries, restaurants and cafes. Taunusstraße’s forte is still antiques, and is still known as the Antiquitätenmeile, “Antiques Mile”. On the last weekend of August the street shuts down to road traffic and literally rolls out the red carpet to pedestrians. For 300 metres the street has culinary stalls, live music and entertainment for kids. Since you’re in one of the oldest spa towns in Europe you could set aside a couple of hours for some rest and relaxation at these luxurious baths. 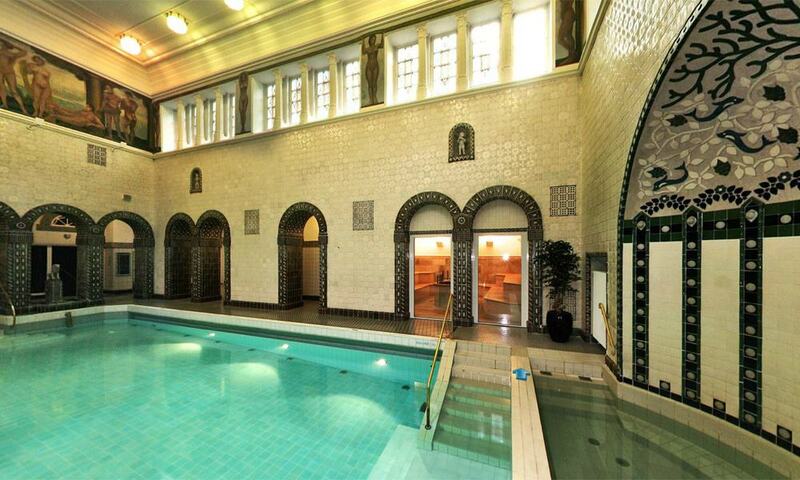 As a tribute to Wiesbaden’s ancient founders, the Kaiser-Friedrich-Therme has been designed like a Roman Baths and is equipped with an indoor swimming pool, a sudatorium (vaulted sweat-room), tepidarium (warm bath), sanarium (sauna), as well as a Finnish sauna and a Russian steam bath. And if you need to cool off or warm up quickly there’s a tropical shower pumping frosty or steaming hot water. The south-oriented slopes of the Rheingau around Wiesbaden are just right for growing Riesling grapes. That’s because the Rhine flows east to west past Wiesbaden rather than south to north, which bathes the right-sided slopes of the valley in sunlight. 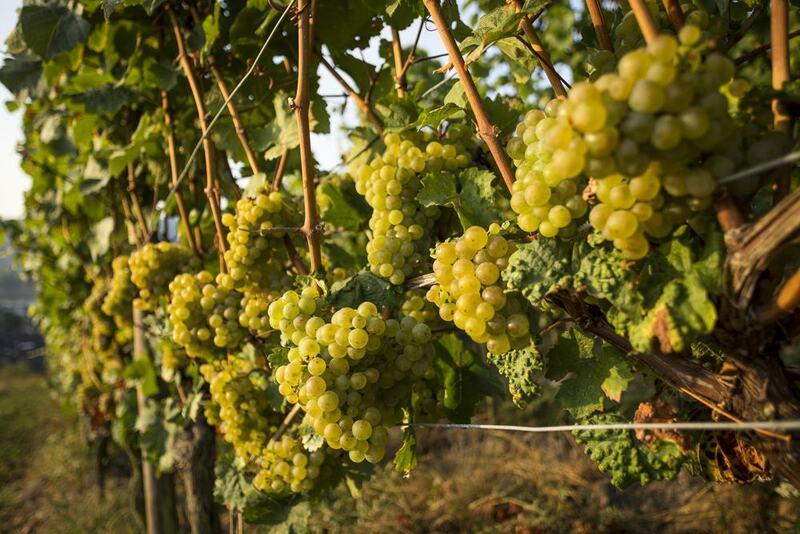 The story goes that Charlemagne planted the first vine in Rheingau, and one of the oldest Riesling vineyards in the world can be found at Johannisberg. Wine has been produced on this slope since the Cistercians arrived in the 12th century. 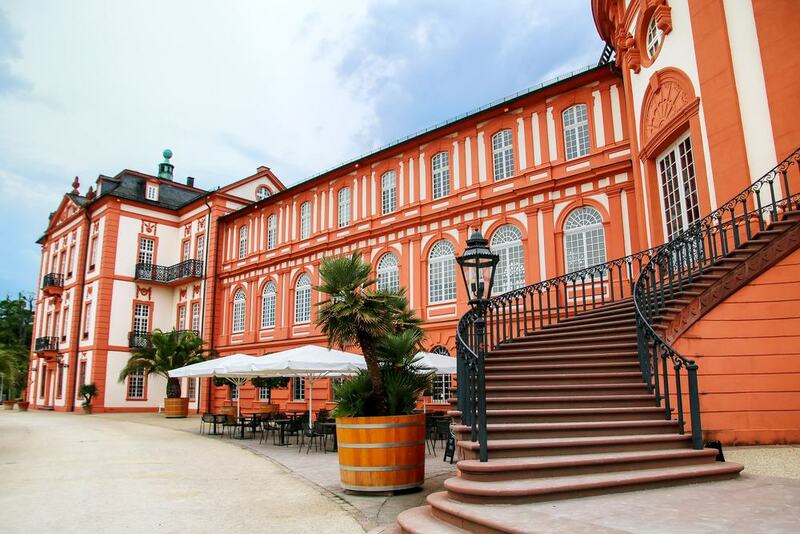 That history makes Schloss Johannisberg a priority if you want to take a wine tour. Not least because it is said to be the birthplace of Spätlese (late-harvest wine). In this process fine wine is made from grapes harvested late in the season after they have developed “noble rot”.